Every now and then something crops up in the life of every record label that absolutely no one thought to prepare for. 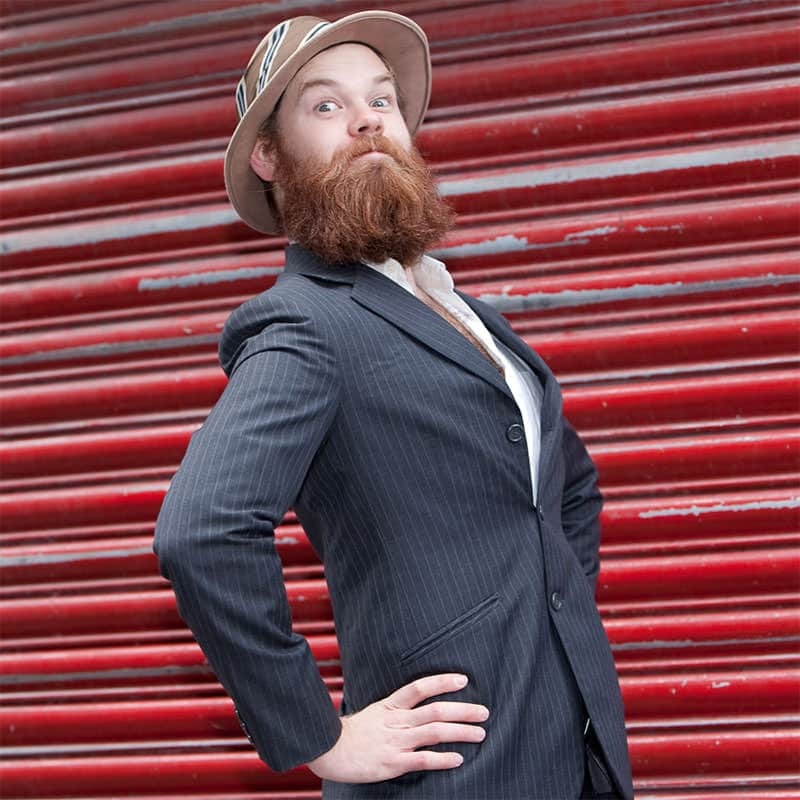 Recently just such a thing happened as Debt co-founder Louis Barabbas was approached to model for the Beards Of Manchester calendar 2011. So it was that during one of the busiest months in the music industry calendar, Louis grabbed Alfie the Debt Records dog and flounced off to have his picture taken. The calendar was the brain child of B&N Magazine’s Samantha Bail and Hey! Manchester’s Chris Horkan, and was produced to raise money and awareness for Manchester’s homeless charity Lifeshare. The photographs are currently on exhibition in Common’s Kestrel Suite in Manchester’s Northern Quarter, where they will remain there until the end of the year. You can’t miss Louis’ June photo (see alongside) – it’s the biggest picture in the room! Other beards included our friend Jay Taylor from The Ruby Lounge and Pat “Mad Dawg” Macaulay (who also has a cameo in The Bedlam Six‘s music video for their cover of “Relight My Fire” – released in November). All photos by Gill Moore. Visit Beards Of Manchester for more information about the project and to buy a copy of the calendar.